Olivia Leigh Allard was born at 8:09 a.m. January 29, 2016 to Jennifer and Gail Allard II, of Salado. Olivia measured 19 inches long and weighed 6 lbs., 8 oz. at birth. She was welcomed home by her big brother Gail Allard III. 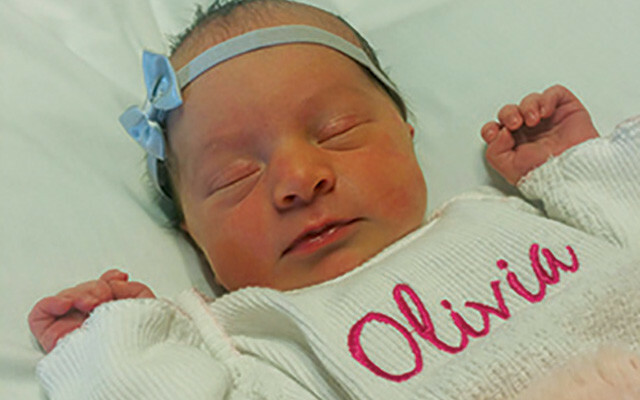 Olivia Leigh is the grand-daughter of Gail Allard, of Ethel, Missouri, Jackie Curbow, of Belton, Cynthia and Leon Hollas, of Cameron, and Elbert and Juarie Svetlik, of Buckholts.